Bingo night – 8th June – Tickets on sale from the beginning of term 2! The Bus Society’s major fundraiser is happening on Saturday 8th June – save the date! – this year it’s a Bingo Night! You will be able to buy your tickets for this great night out from beginning of term 2 from our School office. Bus families we need your support and hope to see many of you there! This entry was posted in Uncategorized on 9 April 2019 by angevink. Enter your email address and click on FOLLOW to subscribe to receive bus news by email. 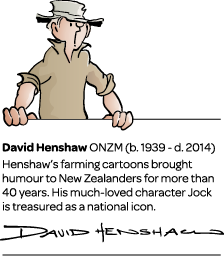 The late David Henshaw kindly granted Pukekohe East School permission to use his iconic Jock cartoon characters. We are grateful to the Henshaw family for their ongoing support. The cartoon images are © T D Henshaw Arts Trust, 2018.